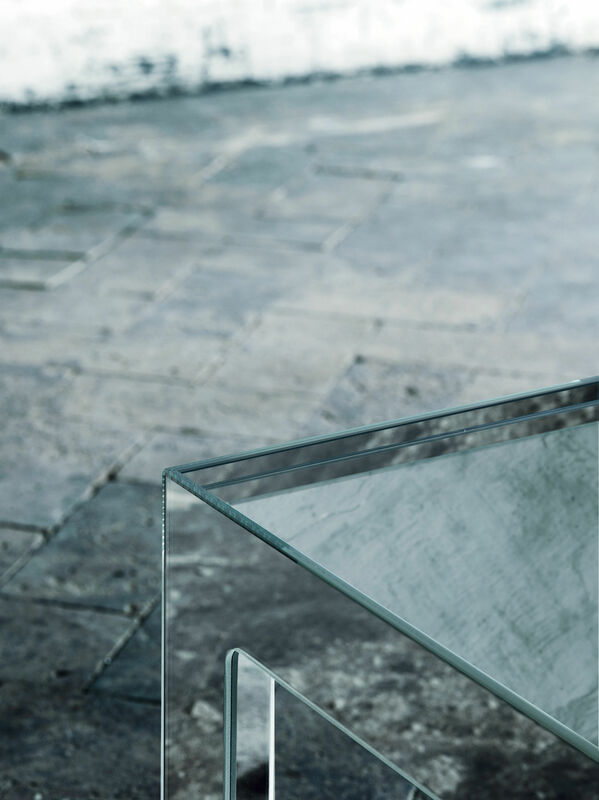 Collection of high tables, low tables and consoles available in different sizes, whose base is obtained by gluing 45° water jet cut laminated double faces mirror slabs. 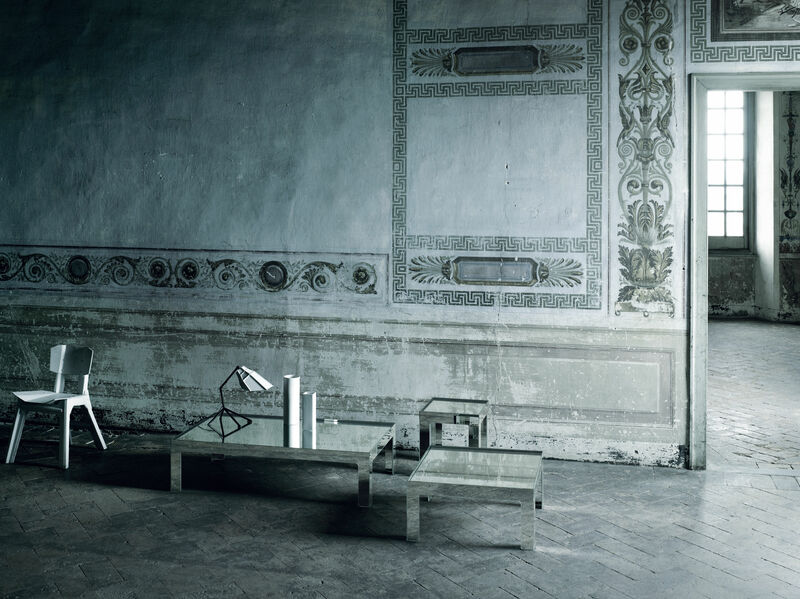 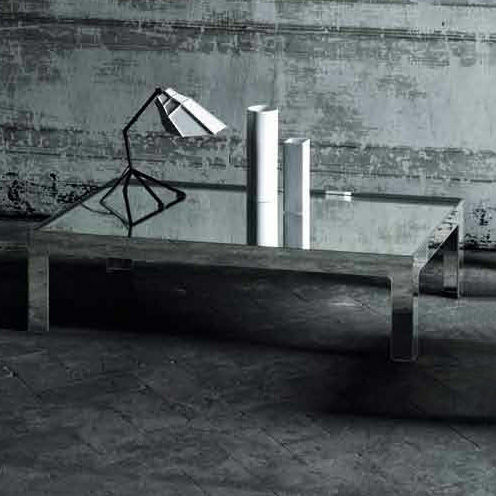 In the low tables the mirror tops rests lower down within the base frame, so as to be contained by an upstand profile. In the high tables and the consoles the top instead is resting on the base frame.